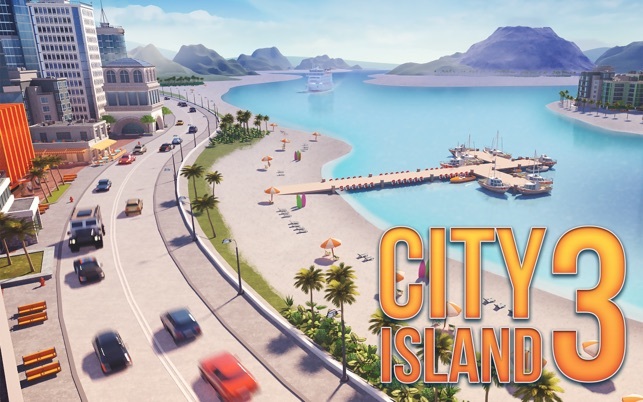 If you love exotic village to city building games, then you'll love the City Island 3 - Building Sim! 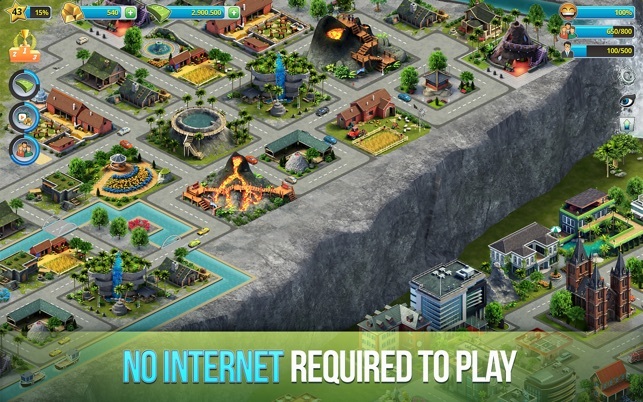 Join over 25 million players and start playing this popular city builder game today! 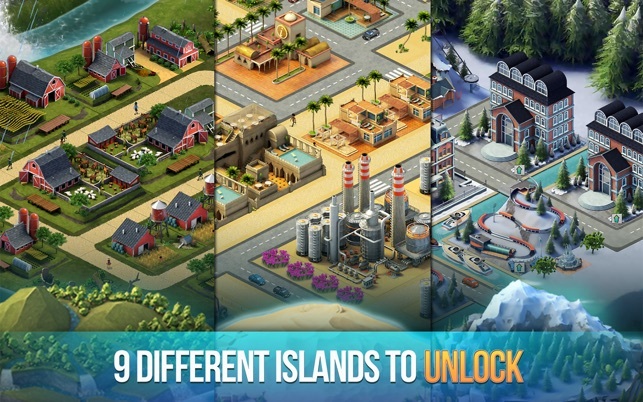 Start on an exotic island with some cash and gold and from there begin building a city. Just start with constructing one house, expand that to a village, then create a city and try to expand it to metropolis. 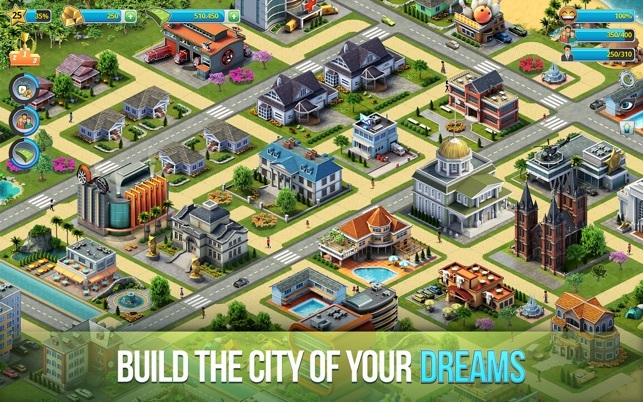 If you like playing free-to-play citygames, building a city in City Island 3: Building Sim is your best choice! - Build and decorate beautiful islands of your own archipelago with more than 300 unique items, be creative! Tweaked and polished bits and pieces to make them shine. This is a really fun and addictive game, but it's also a little confusing. I never understood how to get more gold because there are so many things that cost a lot of gold in the game. I wish that you could move in more ways other than zooming in and out. Otherwise, it's pretty fun to play when you're bored. The graphics are fine, it never takes forever to load, and but when it gets dark and rainy that kinda bothers me because i can't see what's going on very well, but I like the idea. I love the detailed trees and beaches. 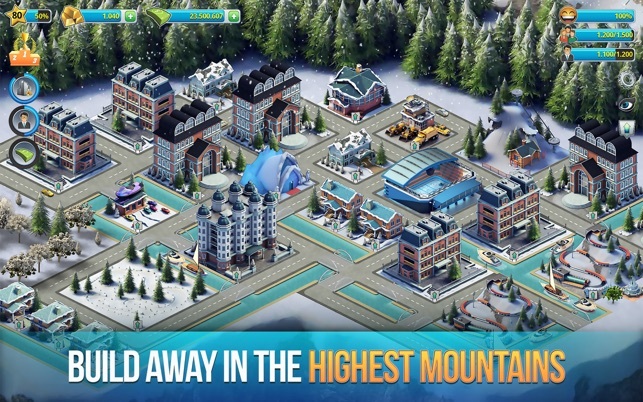 I think a good new update for this game could be REAL places in the world and actual famous architectures from those places. Then it would seem less fake and fictional and you would feel like you're traveling the world which could make this game much more fun. Love this game, very addictive and fun to play. Only problem I have come into is that the land prices jump tremendously all of a sudden. It doesn’t give you the time to gain the funds to purchase. I would recommend setting and locking the land prices even if the section is developed nearby it won’t jump in price. I’ve been working for 3 days just to increase my cashflow to be able to purchase the next section for over 700,000! I know that as soon as I do this, the smaller sections of land will probably jump to over a million. 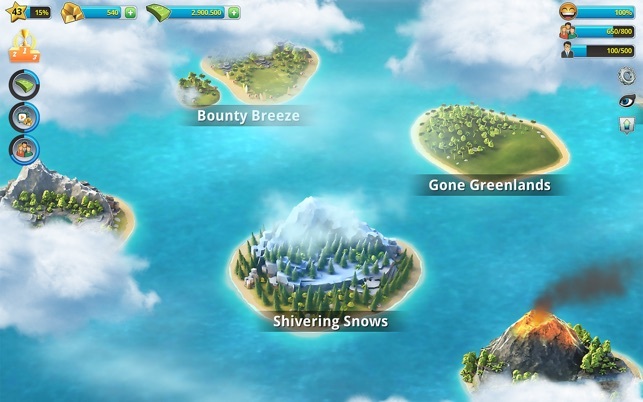 And I only have the one island I’m working with right now because I needed the cash to expand to this island, instead of paying to go on to another island. The game is fun for awhile. The graphics are good, it loads very quickly. There is very little help available….you have to pretty much figure things out for yourself. The tutorial is very brief. The main drawback for the game is that it requires TOO MANY CLICKS! 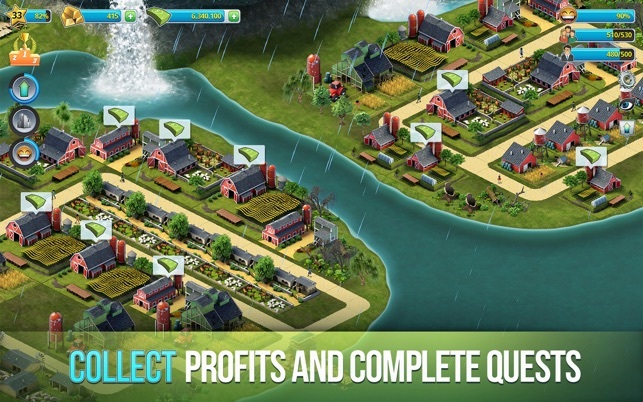 To collect the money earned from each building, you have to click in it. I was up to about 200 clicks each time I opened the game and collected the accumulated revenue, and that is when I quit and deleted the game. It was just too dang much trouble. It would be much better if there were one icon you could click to collect all the revenue. Anyway, because of this problem, it became too tedious for me.